The Department of Mass Communications is a unit of the College of Arts and Sciences at SIUE. To declare themselves a department major, students must first pass two introductory courses. Most, therefore, do not declare until their second year. Additionally, SIUE admits a significant number of transfer students who can declare a Mass Communications major as late as their senior year. 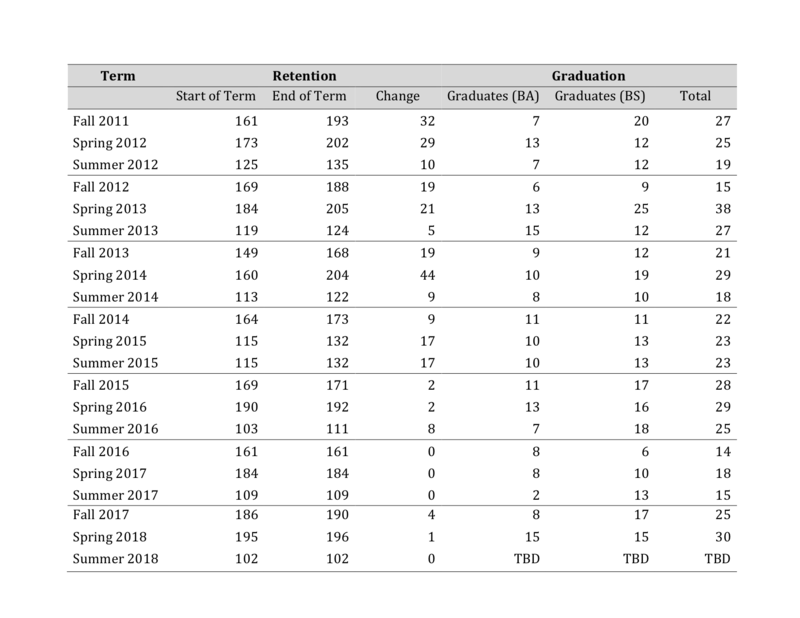 Because of the flexibility that an SIUE education offers, there is no cohort of entering freshmen who can be tracked from entry into the major through graduation.